The courts and procedure are based on the common law model, and the Irish and English common law jurisdictions have historically contributed greatly to each other. Administration is reasonably efficient, incorruptible and quick. 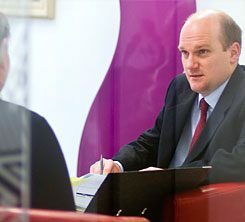 We are specialist divorce lawyers and family solicitors and we have advised numerous clients who are either UK–based but originate from Ireland, or are living in Ireland but have a connection with England or Wales.